~ Mangoes are packed semi ripe so as to withstand transport time. Fruit will mature to full sweetness and aroma after arrival. Please open the crate and lay the mangoes on the floor on the hay that comes within the crate. 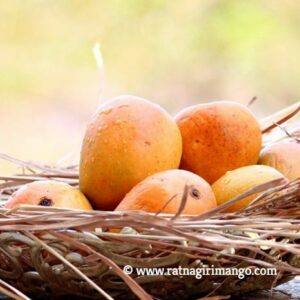 Do not refrigerate the mangoes unless fully ripe. ~ Mangoes weight approximately 210-270 grm each. Please note: medium size and large size mangoes quality and taste are same, large size price high due to high demand.